Jane Austin, or Survivor Jane as most know her, is a city-girl turned homestead prepper – moving to the Appalachian Mountains from Central Florida. She is the creator and editor of the survival preparedness website www.SurvivorJane.com with a mission to educate on how to better be prepared for any disaster by sharing her experiences and research, in an easy to understand conversational format on various preparedness topics. As an additional social media outreach, Jane created the social media hashtag #PrepperTalk resulting in the “Largest Prepper Community” forum on Twitter; bringing people from all over the world together to share “all things preparedness”. Since the hashtag’s creation in 2011, #PrepperTalk has become one of the most used hashtags by preppers on Twitter, Facebook, Google+, Instagram and Linkedin. After noticing what seemed to be a lack of focus in personal hygiene and cleanliness in preparedness plans, Jane authored the book “Survivor Jane’s Guide to: Emergency/Survival Hygiene – A Prepper Cookbook on Making Survival Hygiene Products. Her next book was, “What Could Possibly Go Wrong??? – How to Go from Completely Clueless to Totally Prepared”; written after she noticing a normalcy bias regarding current events, disasters and weather patterns, of today’s society. In her book she shares how anyone can overcome this bias and be better prepared. And, then in an attempt to steer away from the doom and gloom and fearmongering approach that a lot of preparedness minded have today, Jane created a more fun and entertaining approach to preparing with her book, Puzzling Over Preparedness – Survivor Jane’s Word Search Puzzle (Vol. One), to help those just starting their journey into preparedness and the more seasoned prepper by using word search puzzles and premade preparedness lists as things to do and items needed to better prepare themselves, that also help mentally strength the brain! When Jane isn’t writing, you will find her on any number of social media networks discussing preparedness with others, or performing various homesteading tasks at her mountain top retreat. She is a public speaker at various preparedness conventions and expos; as well as the co-host of Prepper Camp™; the largest three-day outdoor preparedness event in the country, featuring hands-on classes and training on preparedness, survival, and homesteading skills. 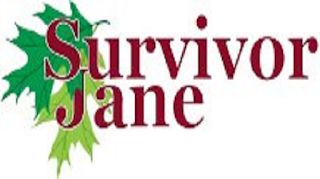 To find out more about Jane or to contact her go to her website (www.survivorjane.com) for all her contact links.